With the Grand Tetons as backdrop, Legacy Classic Trucks restores old trucks and builds to order original-style Power Wagons and other vehicles such as Jeep Scramblers and Napco Chevrolet half-ton pickups. Legacy is one of several restoration companies updating classic vehicles with modern looks and performance. The handcrafting is neither cheap nor fast. The typical Legacy restoration runs roughly $200,000 to $300,000. Vehicles ordered now will be delivered in mid-2020. The company works on only trucks and four-wheel-drive vehicles. Rival restorers and the brands they specialize in include Alfaholics (Alfa Romeo), Eagle (Jaguar), Singer (Porsche), FJ Co. (Toyota), Gateway (Bronco), Icon (multiple brands) and Velocity (International Harvester Scouts and Broncos). Former restaurateur Winslow Bent started Legacy 10 years ago, turning a hobby of restoring old trucks into a business. 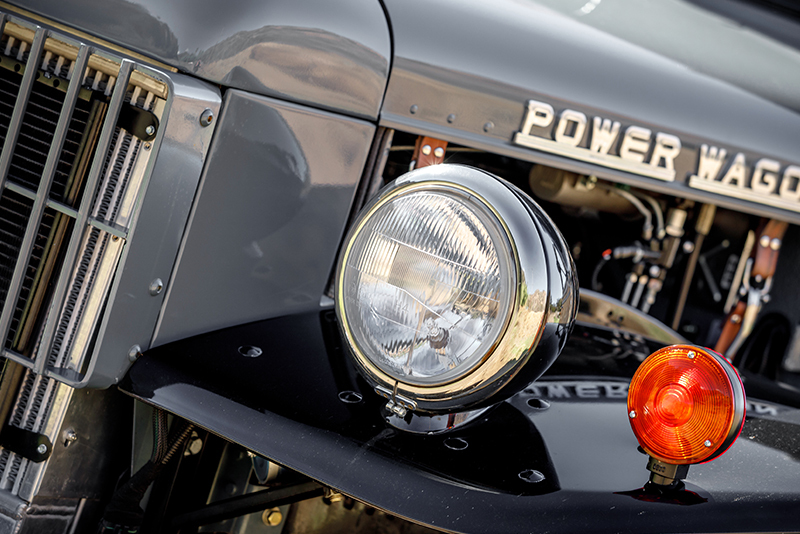 Building the Jackson Hole, Wyo., business around the Power Wagon pickup truck was an easy choice because other companies were already focused on Toyota Land Cruisers, Ford Broncos and vehicles from the Land Rover brand. And fewer do pickup trucks than sport utilities. “I think that authentic experiences are in low supply. To have something that shows high levels of craftsmanship and tips its hat to the heyday of American manufacturing is really cool,” Bent said. Defining “classic” isn’t easy, but Bent claims to know it when he sees it. Others might recognize classic only after it’s been thoroughly rebuilt, fitted with an engine that doesn’t require a tuneup every other month, and plated, painted and polished to a fare-thee-well. A love of things mechanical and nostalgic drives the restored-classic business, and the prices these vehicles command require deep pockets: One could buy Ford’s newest and heftiest F-450 fully loaded for tens of thousands less. Legacy restores the trucks at its shop in Driggs, Idaho, a 40-mile drive across the Tetons from the company’s headquarters. The drive traverses a pass that’s 8,400 feet above sea level. The 10 percent grades provide a better road test than any Detroit proving ground. Vehicles are rebuilt in Driggs because real estate is far less expensive than in Jackson Hole, and the labor pool is bigger. Production volume, using the term loosely, varies by depth of restoration. 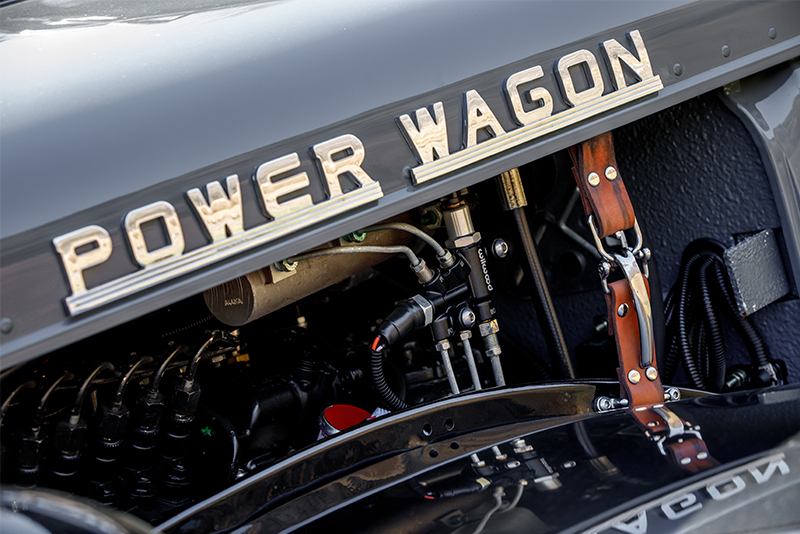 Legacy typically completes 10 Power Wagons a year, and basic choices are engine, transmission, tire size, cab style and bed length. Other builds and restorations account for another five to 10 sales annually. Built for work with bespoke equipment, a Legacy Power Wagon restoration ranges from $185,000 for a two-door to $295,000 for a crew cab. Prices can rise for special features and treatments. Legacy keeps the frame and forward cab but rebuilds both. This makes documentation simpler and maintains character. One change is made, however: The windshield and cowl vent that could be opened on the original are sealed to keep electronics dry. The frame is boxed, the cab fabricated – crew cab rear doors hinge forward or backward; your choice – and component parts are new or rebuilt. New alternators, starters and brakes, for example, are easier to find than replacement parts. A shorter truck with a Cummins 3.9-liter four-cylinder diesel engine mated to a five-speed manual transmission is Legacy’s most common build. Legacy’s current project is a truck built to haul a family and tow a 7-ton snowmobile trailer. It has four doors and seats, and a larger, 5.9-liter Cummins engine. The transmission is a suitably strengthened Chrysler four-speed automatic. Since the truck was not built for rough trails, the 36-gallon aluminum fuel tank is not protected by a skid plate. 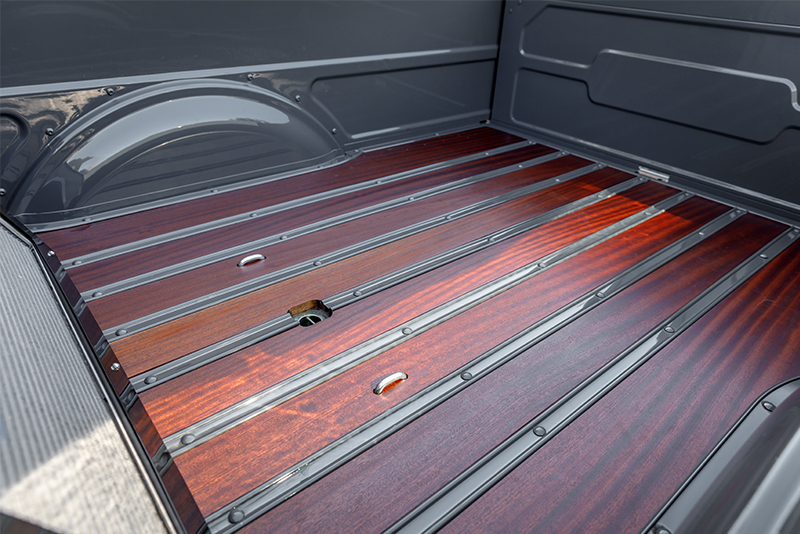 A gooseneck hitch in the Sapele wood-lined bed provides towing capability. The axles, steering and brakes are like those found in 1-ton pickups of the early 2000s. Modern systems are used for air conditioning, power windows, seat heaters and entertainment. 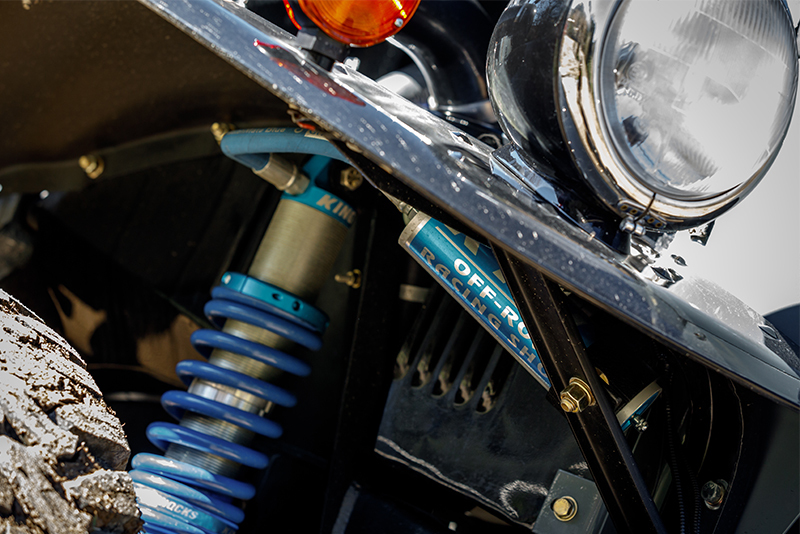 The suspension is modernized with combined coil springs and shocks in front from racing specialist King. In back, standard-style leaf springs work with proprietary Bilstein shocks. This truck has no spare tire, but the 40-inch tires rarely suffer flats. The cabin is insulated for noise and heat and even carpeted. Its seats are upholstered to choice. The rear console holds two cupholders. The Power Wagon cab is about the width of a compact pickup. A Trucks.com drive of the vehicle found that it performs well. There’s no slop in the steering, no crashing over bumps from the suspension, and visibility is reasonably good. 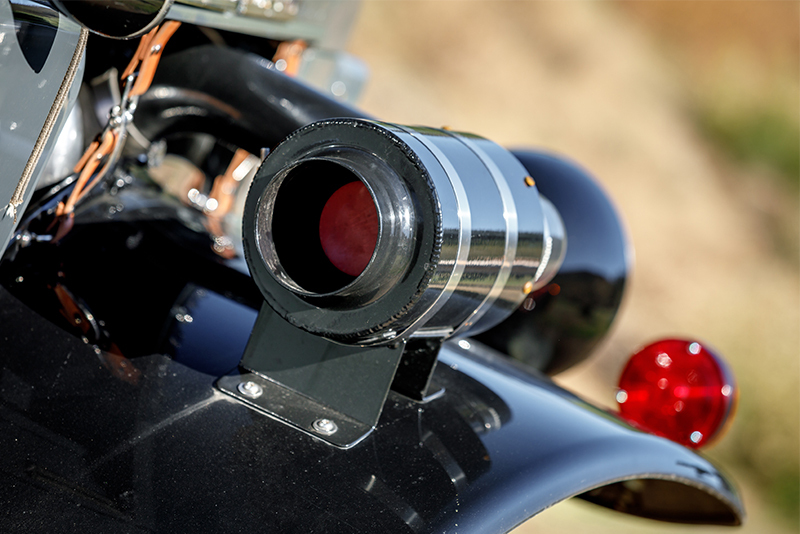 The tiny mirrors vibrating on stalks are adequate for empty use but not ideal for towing. Directional stability, often the bane of big-tire 4x4s, is better than that found on many factory pickups. Body roll gently reminds the occupants that this is a tall, 7,400-pound truck. With 350 horsepower and an estimated 600 pound-feet of torque, performance is solid. 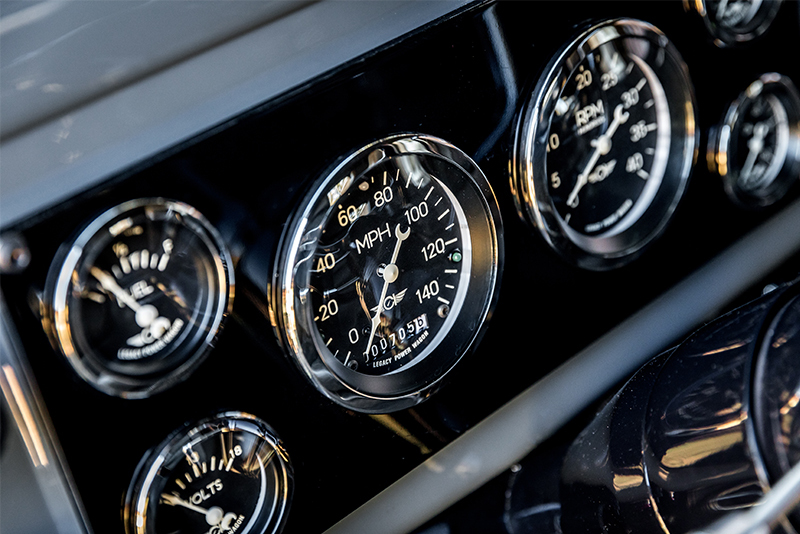 On the interstate it turns around 1,700 revs at 70 mph, returning mileage in the high teens. However, it is loud. Old body styling never intended 70 mph speeds. The diesel and open engine compartment allow plenty of whine and clatter. That said, Legacy’s Power Wagon may be the pinnacle of the resto-mod trend, one that shows no sign of abating.